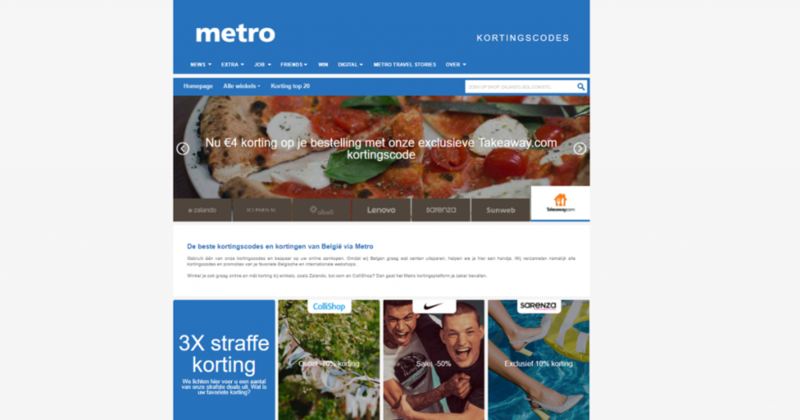 Amsterdam, August 10, 2017 – Imbull, a leading international couponing provider of discount code and deal portals, along with Metrotime, a leading Belgian news website, has launched kortingscodes.metrotime.be. Imbull is a part of the Global Savings Group. Belgian e-commerce is a highly popular and fast growing market. “78% of the Belgian population aged 15 and older have shopped at least once in the first quarter of 2017” states Becommerce, a leading benchmark research company. In 2016 Belgians, spent over 9 Billion Euro’s on online shopping. Belgians are smart savers who will search the internet for vouchers when shopping. Mads Bukholt, Managing Director of GSG Northern Europe & Imbull. Imbull is part of the Global Savings Group (“GSG”). The GSG is a digital commerce platform that connects the most efficient commercial models, accelerating purchases to create a winning ecosystem for advertisers, publishers, and consumers. The Group enables consumers around the world to make smarter shopping decisions via more than a hundred digital assets operated by the GSG and leading global publishers in over 20 countries.